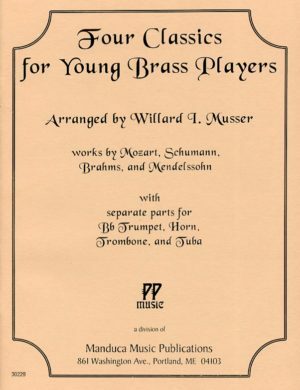 These excellently arranged short works will provide, for late elementary and intermediate brass musicians, access to the melodic and harmonic styles of four of the great composers. 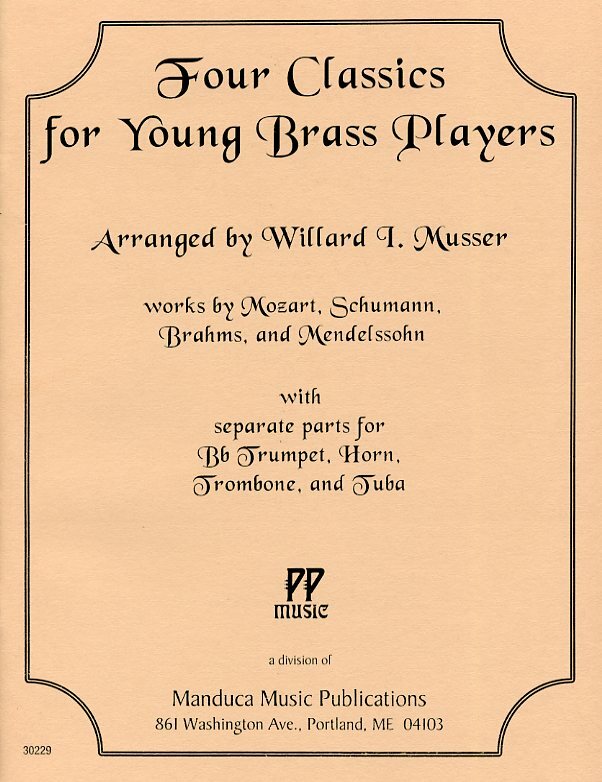 These excellently arranged short works will provide, for late elementary and intermediate brass musicians, access to the melodic and harmonic styles of four of the great composers. In addition, the pianos parts are set up so that intermediate players can handle them, making it possible for students to work with students. Separate parts are supplied for trumpet, high horn, low horn, trombone (euphonium), and tuba. Pieces included are: Longing for Spring by Mozart, Sunday by Brahms, Suleika by Mendelssohn, Song of the Betrothed by Schumann. A great value.